Ever since 2009's excellent "Only Built 4 Cuban Linx Pt. 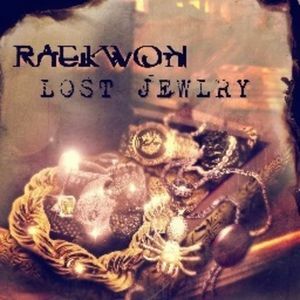 II", Raekwon has been on a creative role, and is by and large Wu-Tang's most consistent member behind Ghostface Killah. The last project he released was a mixtape titled "Unexpected Victory". It was decent overall. To hold the fans over until the release of his next album, titled "Fly International Luxurious Art", he released this EP. Let's take a look at it. After a brief instrumental intro produced by Statik Selektah, we head right into the Scram Jones produced banger "Prince of Thieves". Mr. Jones has been on fire lately, and the beat here is one of the reasons why. It clocks in at about 2:46, and it ends once you're starting to get into it. Wu is STILL known for that, lol. We follow this up with another very good Scram Jones production, this time in the form of the apply titled "Young Boy Penalties". Today's generation need to hear this one, yes indeed. After the decent "For The Listeners", things start to slow down just a little in the middle portion of the EP, as confirmed by tracks such as "Die Tonight", "Lead Season", and the Altrina Renee assisted "86", which sounds like a freestyle, albeit a very good one, plus Ms. Renee sounds nice on the hook. And speaking of guests, we get a few here, as Faith Evans drops by for "Hold You Down" (and how MANY hip hop songs have we seen with that title), in what is now the standard female track, but in this case with a Wu twist. Freddie Gibbs almost steals the show on the tight "New Day". Underground mainstay Maino, whose inclusion on this EP made a few scratch their heads, honestly flows well on the old school esque "To The Top". Rounding this EP out would be another Scram Jones produced track (Came Up) and the EP's closer, "Whatever, Whenever". Overall, this was a very good EP. Not sure what I was expecting going into it, but for what it is, I appreciate Rae for dropping this, free or not. If I were to rate this, I'd go with a solid 3.5 stars. And here's the link. I'd recommend a download.